Find Your Perfect Kid Here! 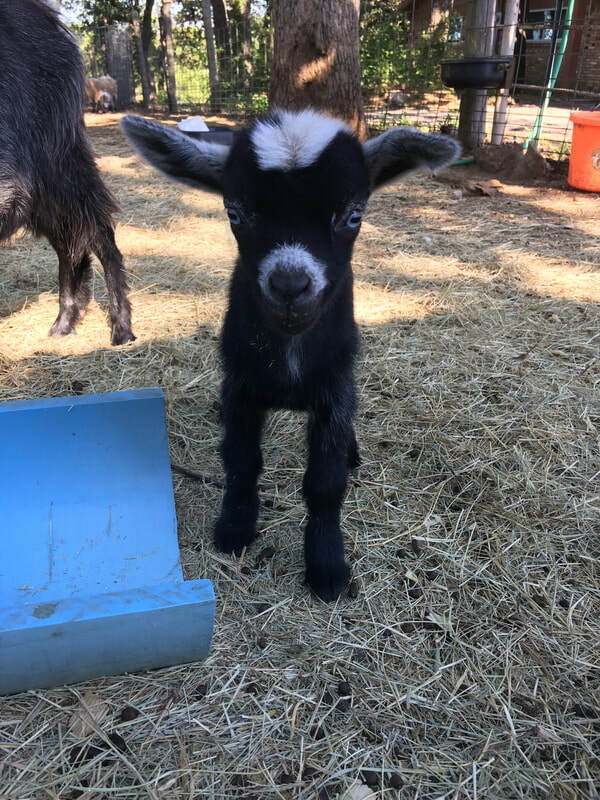 We offer Nigerian Dwarf baby goats from our registered goat stock suitable for showing or non-registered mixed Nigerian Dwarf and Pygmy goats for pets. 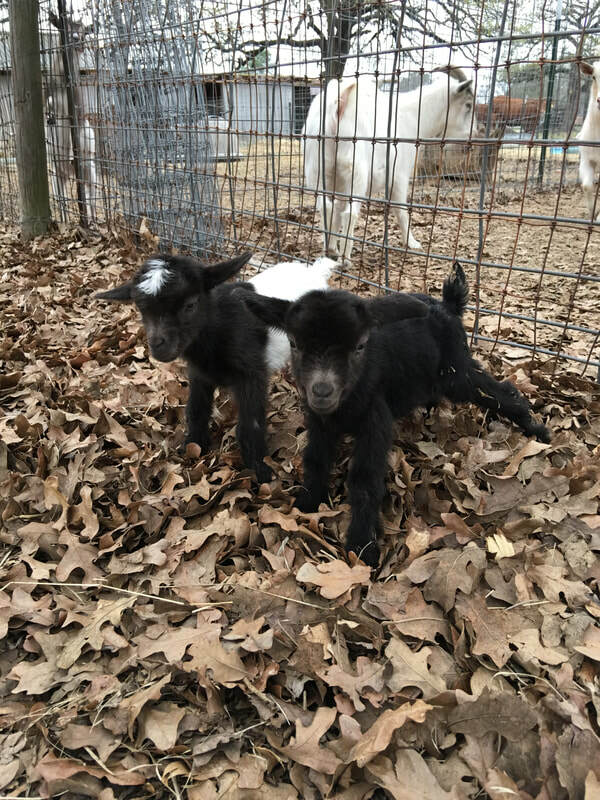 Our babies are available in a variety of color patterns with blue or brown eye color. All babies need a companion so be prepared to pick two! Take a look at our does to see the mom of your selected kids.